We have accounts resources to help teens learn how to manage their money and prepare for the future. And the best way for teens to learn is through hands-on experience, whether it’s beginning to use a debit card or saving for a big purchase down the road. Get started today! Stop in at any of our locations or apply online to open a teen club account! It only takes a few minutes to start on the path to good saving habits. 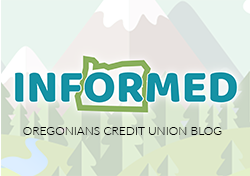 Call us at (503) 239-5336 or email us at memberservices@ofcu.com.